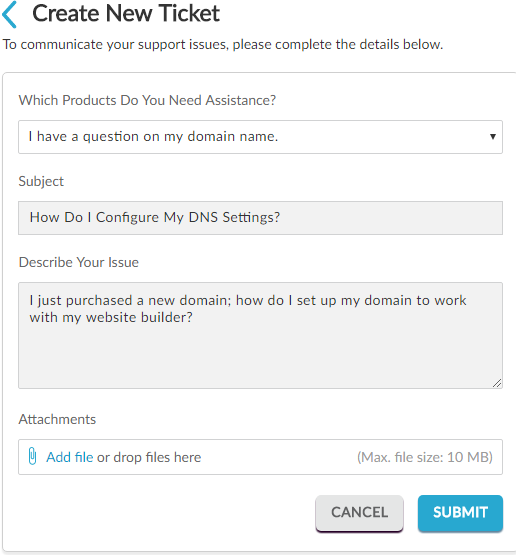 Any help that you need to better manage your products, please create and submit a support ticket through the Account Manager. 3. 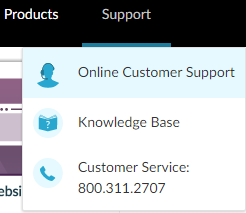 On the Support page, click the Create New Ticket button. 5. Complete the following required fields. Enter a title for the ticket, up to 100 characters. Write a comment about the ticket. 6. Optionally, click the Add file icon to place an attachment with the ticket. The maximum file size is 10 MB. You have created and submitted your support ticket.